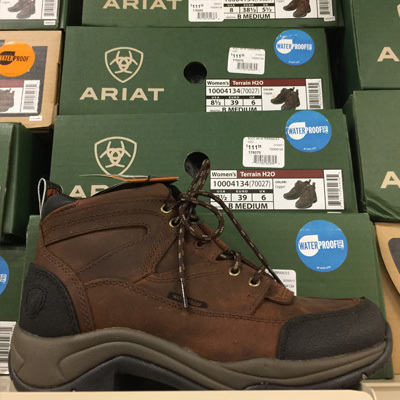 The Ariat All Terrain H2O Waterproof Boot is what any man or women needs for Hiking, Horseback riding, Mucking, Gardening …. Even just your every day, wear around, perfect fitting boot. 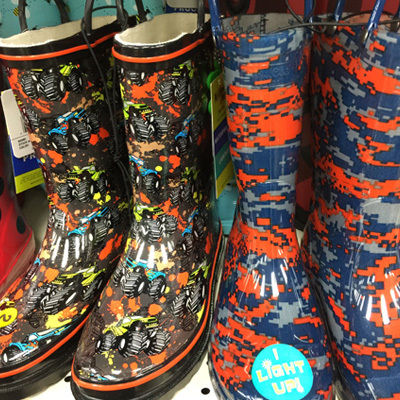 We have Rain Boots by Western Chief for all ages, all year ‘round, cuz we’re located in the beautiful Pacific NW and rumor has it, it rains here off and on. The construction worker may need a steel toe rubber boot by LaCrosse, you can find them here along with our steel toed lace up work boot by Georgia Boot.